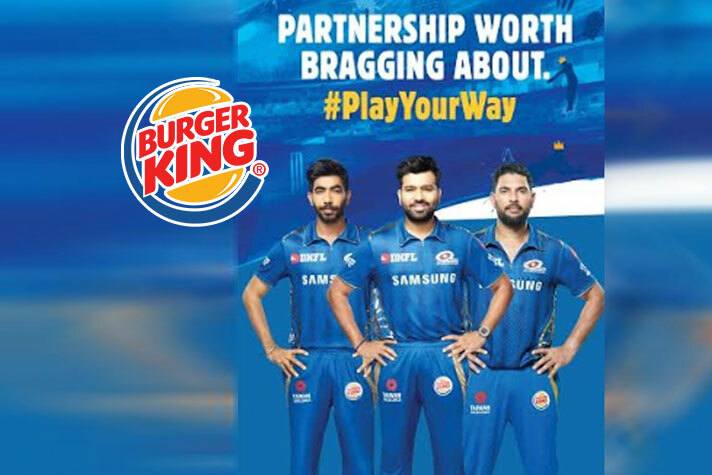 Burger King India has announced its association with the Indian Premier League (IPL) 2019 cricketing carnival, in an exclusive category partnership with Mumbai Indians for the second year in a row. As part of the collaboration, Mumbai Indians will sport Burger King logo on its outfit. Celebrating this IPL 2019 season with a delectable twist, Burger King has curated a special whopper named after the partner team which is available on the menu through this season of Mumbai Indians. The Mumbai Indians Masala Whopper is inspired by the flavourful spices of Indian gravies. This unique offering will be available in restaurants located across Mumbai, Pune, and Gujarat in western region.